Navigating the world of new parenthood can be challenging. There is certainly a bombardment of messages, prenatally, particularly around all the stuff that you need. But here’s a message from the other side – less is best! We all know that babies do a lot of growing. It’s a common painful parenting frustration when you open your drawers and find clothes with tags still on them, and your child has already grown out of them. Babies and children also make a lot of mess, which is a great thing in terms of development– but not as much from a laundry and purchasing point of view. With that said, finding clothing that fits, for a price that isn’t going to make your jaw hang open, is ideal. The materials may contain chemicals, such as flame retardants, which have been shown to affect nervous and reproductive systems. Landfills are brimming with discarded clothes, that are often not biodegradable. The processes of mass producing clothing, uses a huge amount of water and in turn, pollutes our water systems. Often clothing is produced in major factories in less than ideal circumstances. This might included health and safety hazards for employees, long working hours and/or child labour. But with so little time and less mental energy from lack of sleep and caring for a baby all day, how can you source your children's clothes in more ethical and ecological ways? After undertaking an in depth Eco-Baby certification, through Toronto based bebo mia and Green at Home, I've been inspired to get more eco-knowledge out to clients. So here’s a list of what Toronto offers – and it truly is awesome. Check out our description of each store, plus our handy map HERE, to source your next batch of clothing. There will be times when new clothing is just what we need for our families. Maybe they are gifts or we just can't find used items in the size or colours we need. Or maybe we feel like a new item is exactly what our family needs at that moment - and we don't need to feel guilty about that. These companies are doing a brilliant job at developing and selling clothing and other items that are not only high quality, but also ease our conscience, by being ethical and eco-friendly. Little Zen One, Toronto, Didymos Twisted Lisca Emerald, $178, available HERE. Little Zen One specializes in baby wearing (woven wraps, buckle carriers, slings etc.). They also carry a small selection of hand picked clothing, toys, body and bath products, and accessories. All of their products are ethically sourced and eco-friendly. Many of their products are Canadian. The shop is open by appointment only, but products are available online anytime. 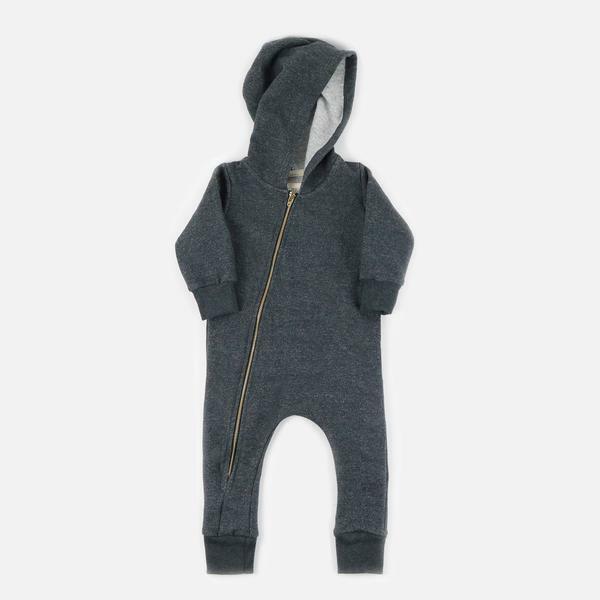 Mini Mioche, Toronto, Lightweight Fleece Biker Romper, $60, available HERE. Located on Queen West and in the Distillery District of Toronto, Mini Mioche was started by a mother who was searching for ethical clothing for her own kids. All of the clothing is organic, eco-friendly and made in Canada. Every single piece is long lasting and absolutely beautiful. 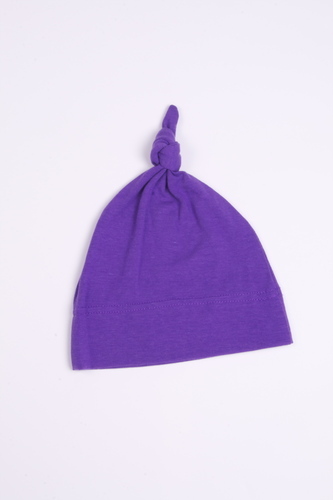 100 Mile Child, Toronto, Pj'zzzz Bamboo Toque, $9.95, available HERE. The 100 Mile Child carries primarily ethical and ecological products. The gorgeous shop sells toys, clothing, accessories, and mostly everything to do children, from age 0 to school aged. Ava's Apple Tree, Toronto, Winter Water Factory, Vienna Dress, Shells, $39.00, available HERE. Ava's Apple Tree is another city gem. The shop carries almost everything to do with baby care - cloth diapers, teething tools, creams and lotions, toys and more. The owners are passionate about creating an environment that is safe and healthy for our children. Hatley, Toronto, PJ Set, Heavy Duty Machines, $39.00, available HERE. Hatley produces high quality and stunning pieces of clothing for the whole family. The founders have a strong ethical calling, supporting an orphanage in India. They also take pride in their commitment to ensuring supporting the health of our environment, and our water sheds, through production and donations. Some of these shops have a golden approach by offering a consignment option. Who doesn’t like trading in their clothes and getting store credit? It feels like you haven’t spent a thing! All of these shops also have an option to just buy. But the positive here, is that the items are often 50 to 75% off the retail price. And most of the goods are in such great conditions. Merrily, Merrily, Toronto, Train Leg Warmers, $8.50, available HERE. Merrily, Merrily is an East Toronto shop that offers both consignment and direct buying options. They’ve just gone through a massive renovation, which has given buyers more room to browse the wide assortment of clothing and products. They also offer an online purchasing option. The owners are extremely knowledgeable, friendly and passionate about making the world of fashion a better place. iSpy Clothing, Toronto, Fox Set (size 18-24 months), $19.99, available HERE. iSpy Clothing sells new and like new items. They have an amazing ethical commitment to reducing clothing waste and offer families high quality clothing. They offer goods online with the option of delivery to your home or to a free delivery box. They also offer the option for you to "trade up" your children's old clothes for 30-50% of the retail value. 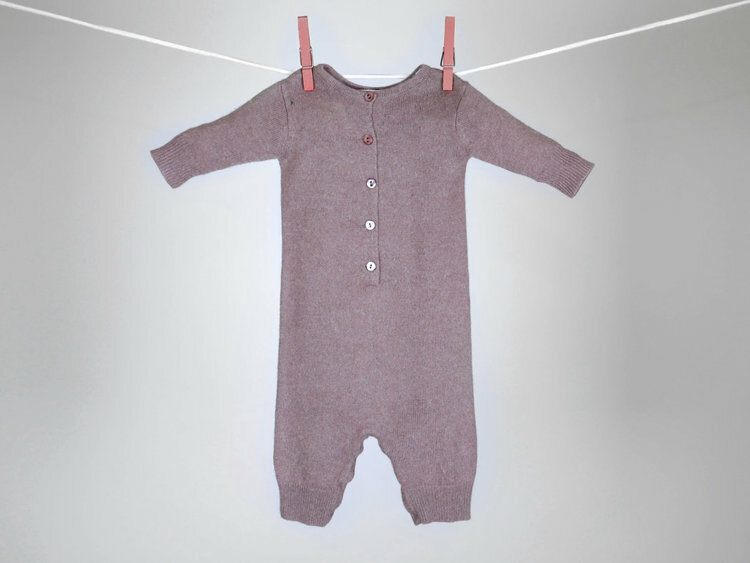 Bumbleberry Kids, Toronto, 0-6 months Cashmere Layer, $15.00, available HERE. Another East Toronto shop, Bumbleberry Kids offers new and like new clothing, toys and accessories. The staff are incredible and have poured their hearts into creating a space that can serve the community by offering ethical and ecological choices. 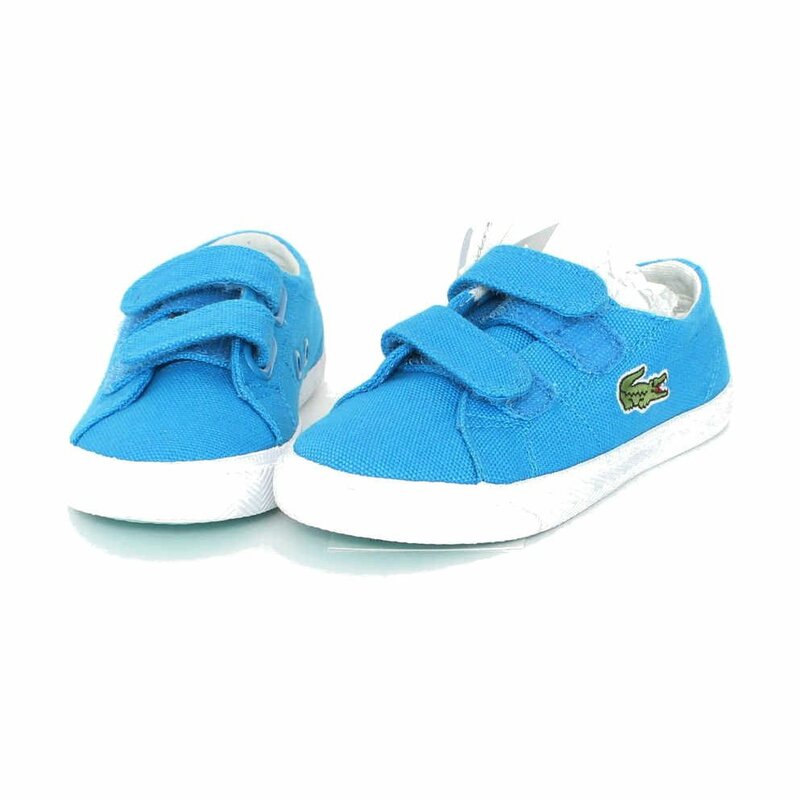 Little White Sneakers, Toronto, Blue Lacoste Shoes, Practically New, $40.00, available HERE. Located in Uptown Toronto, Little White Sneakers is a true gem. The founders have created a beautiful space, offering a range of new and like new clothing options. Their focus is on ecological brands, using materials like bamboo and organic cotton, and most of their new brands are also local. The store only accepts higher end items, from companies such as Baby Gap, Pottery Barn, Mini Mioche and Gucci. The space is also stroller friendly! Once Upon A Child, Toronto South, Costumes are accepted and for sale. Find more HERE. Once Upon a Child is a chain, with 1 locations in Toronto (they also have a location in Etobicoke). The stores are quite large and have a wide selection of new and used clothes, for very good prices. The North Toronto store also regularly offers a wide selection of strollers, bikes, wagons and other larger items. Value Village, Toronto, Donation Statistics, available HERE. Find the 6 Toronto locations and other stores across the GTA HERE. Value Village really is a gem. The store sells solely used items, donated to the shop. They carry everything from baby, kids, and adult clothing, furniture, toys and household goods. Take note though - it is very hit and miss. One day you could find a brand new organic cotton baby outfit and the next day, find nothing worthwhile. It also takes a lot of time to browse, but it really is a lot of fun. Bunz Kids Zone. Try joining this group on Facebook. You can offer, or ask for, anything kid related and name your own trade. Facebook Groups. There are many citywide and area specific Trade Spots. Popular ones include Hip Mommies Toronto, East Toronto, North York, West Toronto, Midtown Toronto and the Toronto Parents of Multiples Trade Spots. These are amazing spaces to both sell and buy items you no longer need. Make sure you read the rules before posting or asking for any items. Local Swaps and Hand Me Downs. Why not arrange a swap with your friends? Or call on your neighbour, friend or family member who has a child a few months older than yours? This is a great way to connect with your community and get clothing and other items, out of landfills. Church/Garage Sales. There are a wide number of sales that happen throughout the year. Most often they happen in the spring, summer and fall. You can keep an eye on your neighbourhood message boards, church signs, Kijiji and Craigslist for sale announcements. We absolutely love summer street sales and the church sales, such as the rummage sale at Eglinton Saint George's Church and the Great Kids Stuff Sale at St. Clements Church, Toronto. Donate and recycle your old clothes. Do you piles of clothes that you just want to donate? Or stained and ripped clothes, that you don't want to throw in the garbage? Contact The New Mom Project and feel good about where your clothes are ending up. The New Mom Project is a charity that supports families that are in need of extra support. They collect ANY item of clothing and if it's not suitable for them, they send it to their partnering clothing recycling program. I cannot praise The New Mom Project enough.